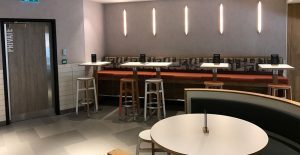 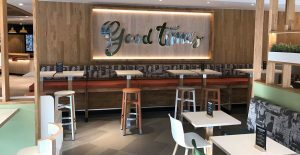 Marcon transformed the former Morrison’s ‘My Local’ store on Clayton Square into one of McDonald’s flagship restaurants in the UK. 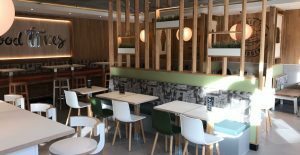 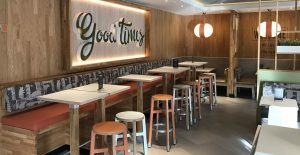 The striking new interior design, known as ‘Natural Integrity’ is one of the new styles of ‘Experience of the Future’ restaurants for the global chain. 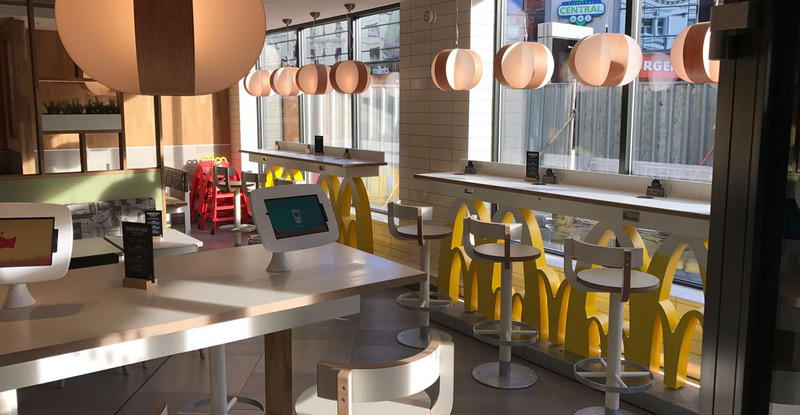 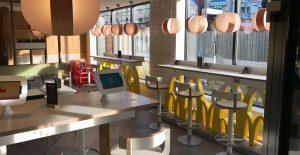 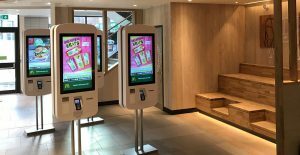 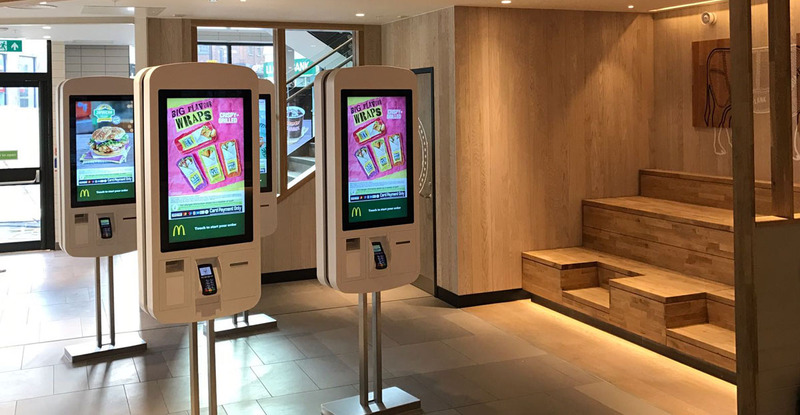 The “Experience of the Future” concept puts convenience and technology at the heart of the McDonald’s experience. 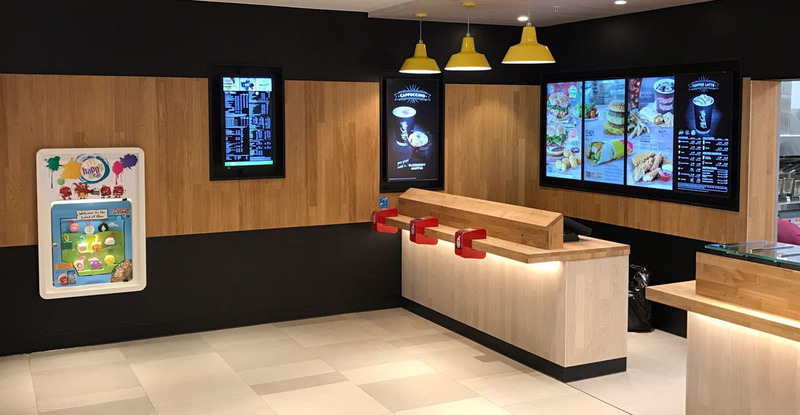 New self-service interactive kiosks allow customers to browse the menu at their leisure, customising orders to their individual preference. 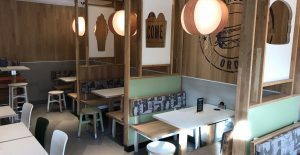 While they enjoy their food in the striking new décor customers can use the free to use tablets, charge their smart phone or make the most of the free Wi-Fi. 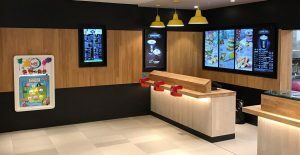 Marcon was responsible for the full strip out of the unit, full M&E services installation, flooring, ceiling, furniture and fittings, along with a new shopfront and graphics.